The National Trust is an independent charity founded in 1895 which protects the coastline and countryside throughout the country. Its core purpose is to look after special places for ever, for everyone. 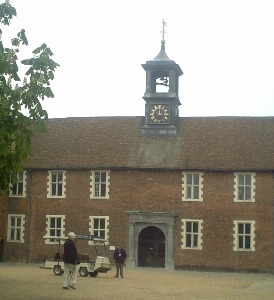 It opens to the public 200 historic houses & gardens and 49 industrial monuments & mills. There is a programme of free and chargeable events. Membership is open to all and allows free admission to all properties plus the National Trust Magazine and Handbook. Members can also join local centres and associations. They organise programmes of talks, events, holidays & outings and assist and raise funds for the Trust. The Trust welcomes volunteers in many capacities. It publishes a wide range of books as well as property guidebooks. The London sites are listed below but for full details including opening days/times visit the Trust's website. 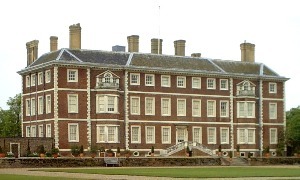 National Trust Partner is a venture with a selection of small, independent heritage attractions and museums in London. Members receive half price admission on production of their membership card at Bevis Marks Synagogue, Franklin's House, Danson House, Dr Johnson's House, Foundling Museum, Fan Museum, Freud Museum, Hall Place, Museum of Brands, Leighton House, Strawberry Hill and Old Operating Theatre. A well preserved Elizabethan manor house with notable wall paintings and exhibition on the house. Tea Room & shop. Originally a Tudor mansion it was transformed in the 18th century by Robert Adam into an elegant neoclassical villa with pleasure gardens. Optional audio visual guides included in admission. Exhibition rooms with hands-on activities and 'below stairs' area. Shop, cafe and introductory displays open to all. Early 18th century house occupied by an array of individuals whose stories will be brought to life with exhibitions. Cafe with small shop and garden open daily except Christmas. Commissioned by William Morris from Philip Webb in 1859. The house retains features & furnishings designed by Morris and his artistic friends and has attractive gardens. 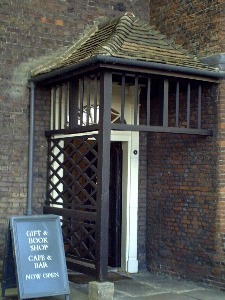 Tea Room & gift shop. Guided tours until 1pm (booking required). Free flow entry after 1:30pm (no booking required). A Georgian terraced house turned into a work of art. Admission by guided tours only Friday - Sunday plus Wednesday evening March - November. No cafe or toilets.